Only 1 week to NaNoWriMo! Are you ready? If you aren’t, don’t panic! 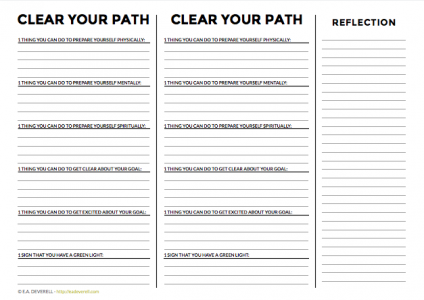 Take a deep breath and use this worksheet to brainstorm some really simple prepwork for the next few days. Sometimes you can be so focused on preparing your story, that you forget to prepare yourself. P.S. How about filling in one side of the worksheet for yourself, and the other side for your main character? Need some last-minute help with your plot and characters? Try these online creative writing courses.